Kick It Out! 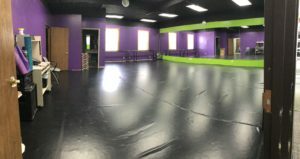 founded in 2012, began instructing classes in a 1,000 square foot site with 14 students and has grown into a 4,400 square foot site in East Lansing, MI with three dance studio rooms. 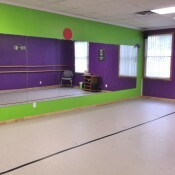 We have Marley floor in our studio rooms that have a custom-built sprung dance sub floor. 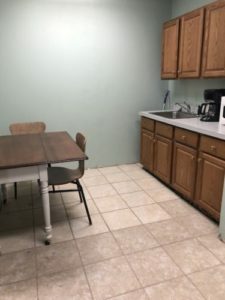 Our lobby is spacious, comfortable with plenty of seating, TV with high-speed, two changing rooms with cubbies for students to put their personal items in , desks to do homework, four rest rooms and a kitchen. 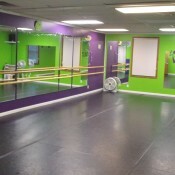 We also have WiFi access for our dance family to use. At KIO! 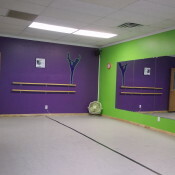 students will experience a learning environment that builds confidence & friendships as well as learning discipline, respect, teamwork and appreciation of dance as an art form. Each one of our student’s personal growth is extremely important to us as well as their technical dance growth! 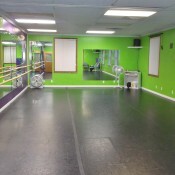 Call or e-mail to take a tour, view a class and experience our studio for yourself. Come join us and be part of our family! 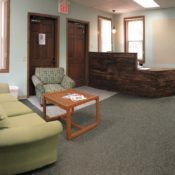 We are located at: 1760 E Grand River Avenue East Lansing, MI 48823. 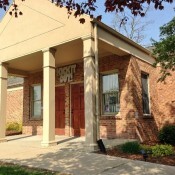 We are on the south side of E Grand River Avenue and east of Hagadorn, across the street from the Shell gas station. The Entrance drive to our building runs along side to Gorsline Runciman Funeral Home. Hope to see you soon at Kick It Out! and thanks for visiting our website!